Wait! Aren’t all plastics conductive? Aren’t plastics the ultimate insulators? You’re right-plastics are used extensively in many industries, including electronics, as insulators. But plastics are not just naturally dissipative; most of them are made that way using additives. 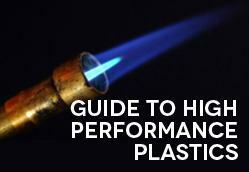 Let’s examine how anti-static, conductive, and dissipative plastics are produced and classified. In order to understand how this works, let’s take a second to examine the phenomenon of electrostatic charge and conductivity. An electrostatic charge is one that occurs when two objects touch each another. One object becomes positively charged and the other becomes negatively charged. Electro static dissipation (ESD) can destroy sensitive electronic components, erase or alter magnetic media, and even set off fires or explosions. Conductive, antistatic and dissipative plastics materials are used to minimize this risk. The conductivity of plastics may be enhanced by the addition of very fine steel wire, aluminum flakes, nickel coated graphite, carbon fiber, carbon powder, carbon nanotubes or stainless steel fiber, to name some of the more common additives. Many carbon and graphite fillers have electrical conductivities much higher that most plastics. However, creating conductive plastic materials is not just a simple task of mixing the fillers into the resin. It is a question of “dispersion” or “pathway development” that uses the conductor as an energy pathway through the polymer. Otherwise, if the conductor is dispersed through a non-conductive medium it is possible the composite will not be conductive, but rather a composite of conductive particles coated in an insulating polymer. Conductive thermoplastic compounds are divided into several categories based on their electrical properties and decay rates. The categories are determined by their surface resistance, which is a measure of how easily an electric charge can travel across a substance. Conductive materials have a surface resistance of <1 x 106 ohms/square and have decay rates measured in nanoseconds. Materials considered to be static dissipative have a surface resistance of >1 x 105 ohms/square <1 x 1012 ohms/square and allow for dissipation of electrical charges generally within milliseconds. 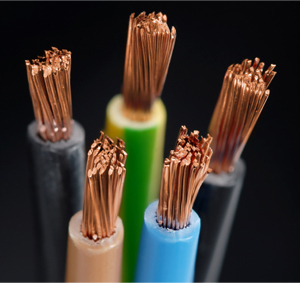 Anti-static materials show a resistivity of 10 10 to 10 12 and are those that inhibit triboelectric charging. Turboelectric charging is the build-up of an electric charge by rubbing one material with another material. These materials provide a very slow rate of decay of static charge from a hundredth of to several seconds. Insulating materials are those that have a surface resistance of >1 x 1012. Materials with ideal ESD protection (10 6 to 10 9 ) are at the low end of the static dissipative range. Conductive plastics are used in the storage and packaging, aerospace, medical devices, automotive, electronics, computer and appliance industries. Specific applications include electronics packaging, automotive fuel systems, and conductive storage containers for inks and hazardous liquids. Conductive plastics are also used in medical devices such as pill dispensers and aerosol devices. These plastics ensure that an aerosol device dispenses a full dose of a powder or liquid to a patient rather than having the substances adhere to the device itself. Do you have more questions about ESD and conductivity in plastics? Ask ‘em in the comments section below! 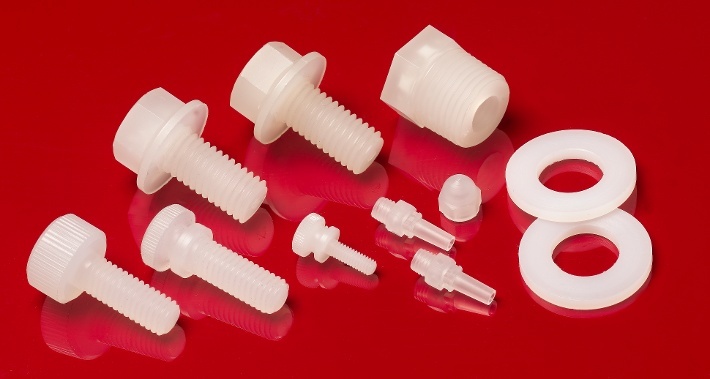 Need specific material properties for engineering plastics? Download our free guide. My apologies for the lateness of this response – we’ve had some issues with our website. I’m going to refer you to AIN Plastics for a better answer to your question. They are material experts, and have a feature on their website which allows you to get answers on line. Good luck! Sorry David – we don’t supply anything like this. I would think an on-line search of plastic drums would be fruitful.